Meetings are held monthly on the second Tuesday, from October through May, at North Ranch Escapees Park on Hwy. 89 about 4 miles south of Congress. NEXT MEETING IS A POTLUCK ON TUESDAY, MAY 14th at 5 P.M. at the Club House. DIRECTIONS: Enter North Ranch Escapees from Hwy. 89 (mile marker 238.5) onto West Escapees Way and the Club House is on your immediate right. Our weekly net is at 7:30 P.M. (AZ Time) Tuesday night on Yarnell Hill HARK Repeater, N7LOQ, 146.620 (162.2 PL). Weekly drop-in luncheons are held all year, each Wednesday from 11:30-1:00 at Lydia's La Canasta in Wickenburg. HARKfest 2019 will be Saturday, November 2, 8-noon at North Ranch Escapees Park. Save the date for lots of ham radio fun at our HARKfest and a Craft Show and lunch available in the Activity Center. Download our HARK Hamfest Flyer. Yarnell Hill HARK Repeater, N7LOQ, 146.620 (162.2 PL). Wildflower Mountain Repeater in Crown King, K7KYC, 145.350 (162.2 PL), with crossband repeaters in Phoenix and Wilhoit on 445.350, 162.2 PL. HARK offers FREE amateur radio license testing through the Laurel VEC. Tests will be given at 2:30 P.M. on the 3rd Tuesday monthly (and at other times) upon request to Chuck, AA0RI, our VEC (Volunteer Examiner Coordinator). To request a test session, please call Chuck on (316) 651-7710 or contact Chuck via email. To expedite setting-up your test session, please include in your email: 1) Your full name, address, and phone number; 2) Call sign (if already a ham), current license class and FRN; 3) If you will be a new ham, it's best to obtain your FRN first to avoid giving your SSN. Please see the FCC website at https://apps.fcc.gov/cores to create a username and obtain an FRN. The DAWN meets twice daily, seven days a week, at 0600 and again at 1600 (4:00 P.M.) on Wildflower, 145.350 and 445.350, 162.2 PL. Everyone is welcome, whether you give a detailed weather report for your location or just tell us how it looks and feels. Bob (KC7NJZ) is primary net control, with Pat (N7FHB), Larry (KW7I), Pink (K7ILA), and Paul (KG7GMG) as backup. Hassayampa Amateur Radio Klub (HARK) began in 2004 with Donna (KD7ZIJ) and Larry (KD7ZIK now KW7I) at North Ranch Escapees Park in Congress, Arizona. 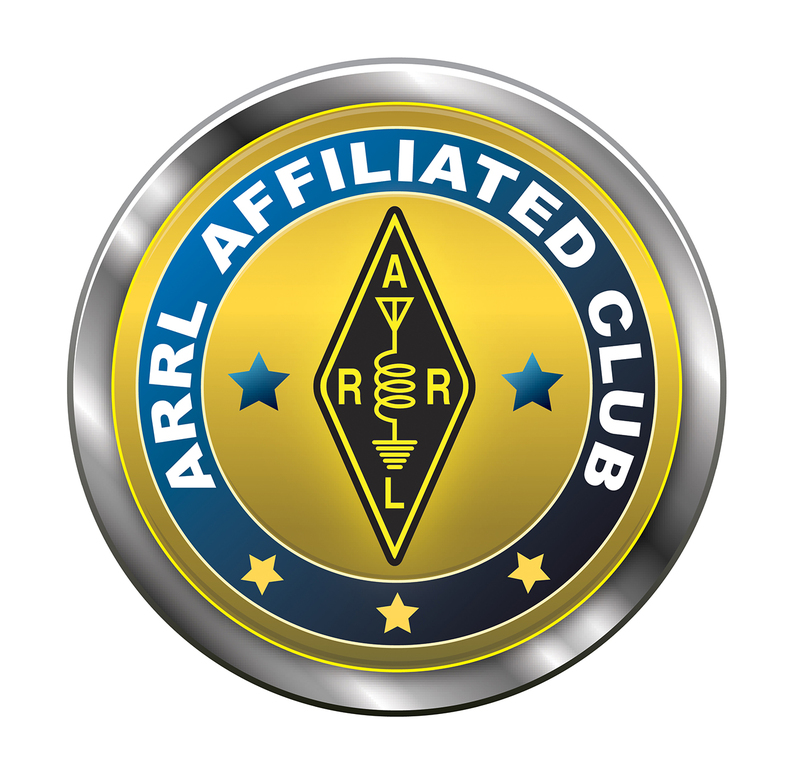 HARK became an American Radio Relay League (ARRL) Affiliated Club in 2009. Doug (N0DAJ) served as charter president 2009-2017. Duane (KD0KYK) is our current president. See History Doc for more detail. HARK members are involved in all kinds of activities: Amateur Radio Emergency Service (ARES), Communications at Community Events, Daily Arizona Weather Net (DAWN), Mesh Networking, Search & Rescue, and VE Testing Sessions. 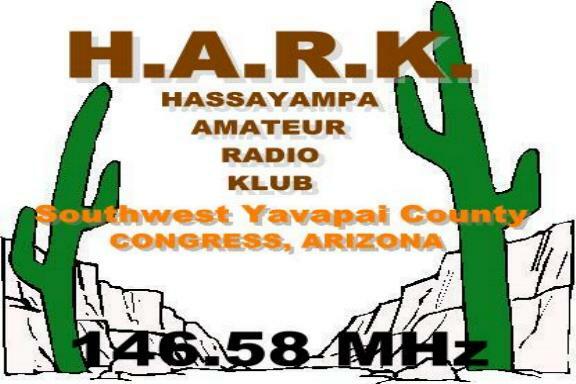 Please send email to "clubinfo AT harkaz DOT org"
Content ©2019 by Hassayampa Amateur Radio Klub, All Rights Rsvd.